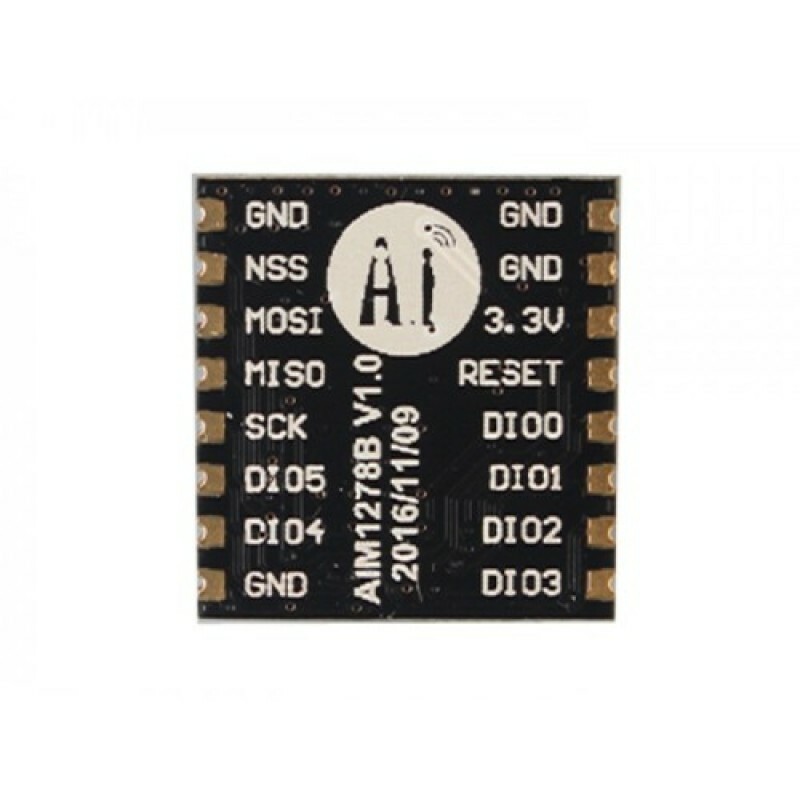 This LoRa 433MHz module designed by AI-THINKER, which based on the chip SX1278. 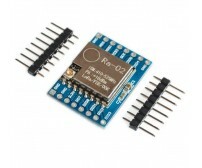 The SX1278 RF module is mainly used for long-range spread spectrum communication. It can resist Minimize current consumption. Thanks to SEMTECH's patented LoRa ™ modulation technology, the SX1278 has a high sensitivity of -148 dBm with a power output of +20 dBm, a long transmission distance and high reliability. 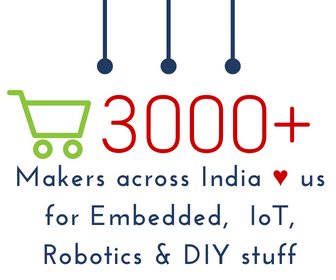 At the same time, compared with the traditional modulation technology, LoRa™ Modulation technology in anti-blocking and selection also has obvious advantages, to solve the traditional design can not take into account the distance, interference and power consumption. 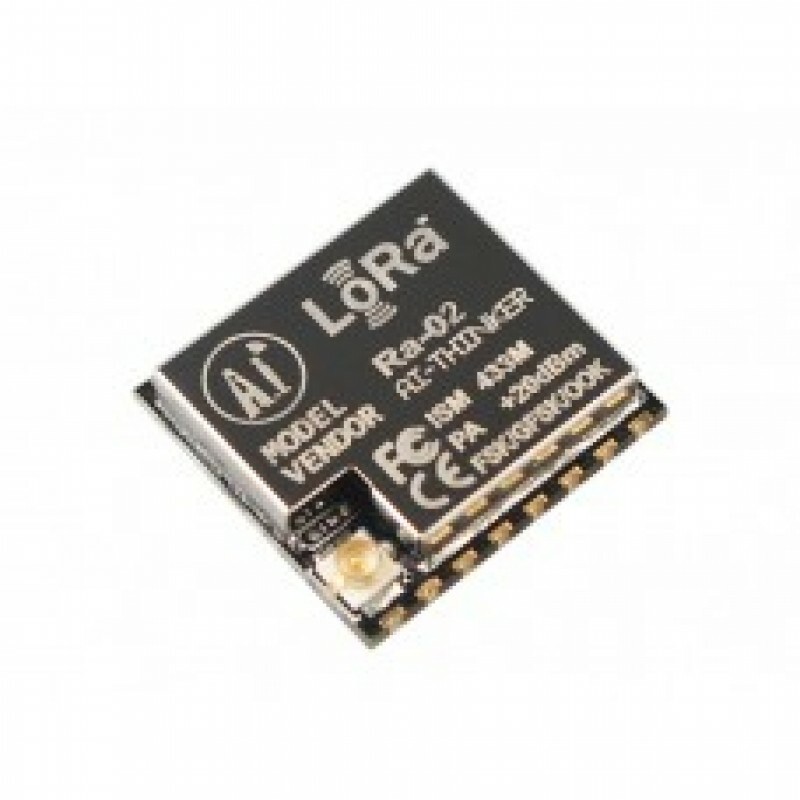 LoRa Modules are long range low power RF Modules. 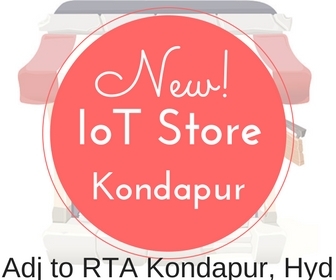 Great for IoT applications to send sensor data to the cloud over long ranges. 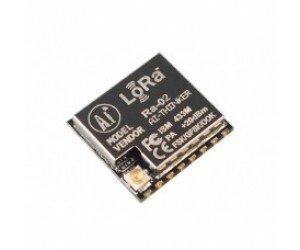 Developed by Ai-Thinker, the manufacturer of the ESP8266 and ESP32 wifi modules, this Ra-02 LoRa (Long-range Radio) module will take your IoT projects the distance with communication over a long-range spread spectrum. This form of wireless communication results in a larger bandwidth, increasing interference resistance, minimizing current consumption, and increasing security. This module uses SX1278 IC from SEMTECH and works on a 433MHz frequency. Frequency hopping—which gives you that sweet balance of quality signal transmission will cover a range of 420-450 MHz. 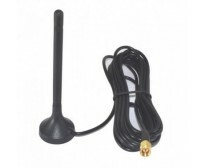 This long range wireless capability is packed into a small (17 x 16mm) package and delivered without an antenna.